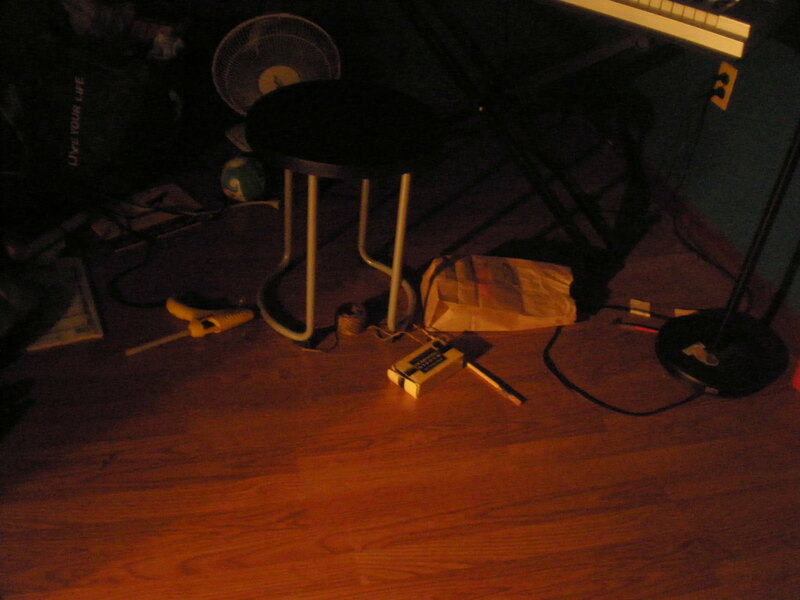 Here is one-tenth of my messy room, showing the materials that I used for the project last night. I’m not exactly sure if that title makes sense, but I feel like it does. A perfect society. 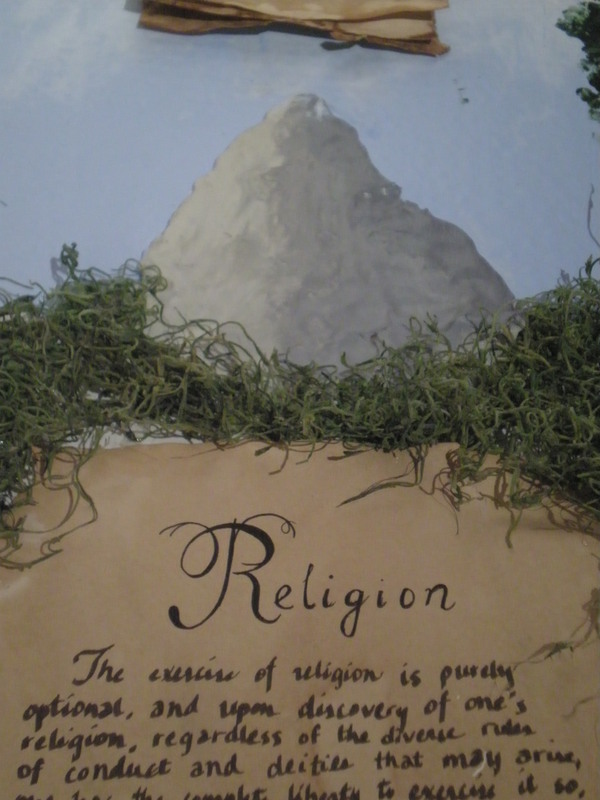 My friend Sarah and I had to create one for our sociology class, and we had to present it, using a presentation board. Running on thirty minutes of sleep, I had to go to her house after school and work on the entire project with her. It wasn’t until about 8 or 9 pm that I began to feel sleepy. It was also nice to be with Sarah. Like I said in a previous post, we really haven’t connected lately. Today really made me realize how close me and Sarah were in the past. Today made me value those fun times with her. A Show-and-Tell post would be appropriate, but I’m too lazy and too busy to make one up. Hopefully, we did the project correctly. You would think that buying a planner from the nearest Staples would solve the problem, but no. After the planner I used last year helped me out so much, I couldn’t settle for anything less, and every planner we found in stores was inferior! My parents scoured many stores around their office in New York to find the same exact planner, but they couldn’t find it. They would come home with similar-looking planners, hoping to appease my finicky self, but none of their offerings was up to my standards. I would then ask them to return the planners and keep looking. Yes, it was a very spoiled attitude, but I usually let something go if it’s too much trouble. This, however, was big. I almost succumbed to the desperation of simply having a planner by accepting whatever my parents brought home, but I told myself, “No. Stand by this until you get what you want! Don’t regret getting a terrible planner!” Thus, after many failed searches, my mom finally decided to order it directly from the company, and that is how I finally got it. Thank you! And…Sorry. Now my planner doesn’t serve merely as an organizer; it’s also “doodle haven.” I’m going to redo a project that I tried to complete last year. In each box in my planner that corresponds to a school day, I have to draw something that illustrates something written on that day. For example, if I wrote “Return books to the library” on one day, I’m going to have to draw a small illustration of that in the box in which I wrote it. I’ll post a picture one day. So, for every school day, I need to have a drawing. I failed last year because I couldn’t keep up with it anymore. I had the time to draw only up to around April. This year, I have to finish it! The summer assignment that everyone has to do is a book report, but our district decided to become creative by letting us choose from a list of about twenty what we would like to do to present what we read. One of them was to create a CD that contains songs that exemplify the conflict in the novel. My friend wanted me to create her CD cover, and this is what ultimately came out. There’s also a back section, but it’s not as interesting as the front. The CD on the right is a similar project given to us by our English teacher in our junior year. That was my own CD and the cover that I made for it. Hm. A Show-and-Tell post would’ve been appropriate for this.